Travis Daigle teaches personal growth and development. 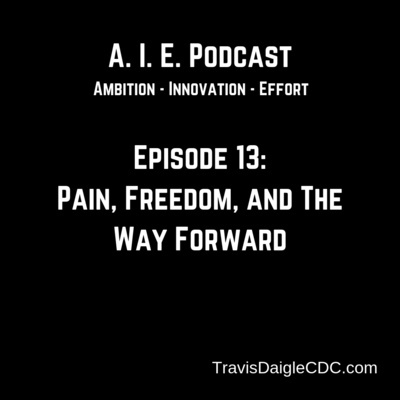 In this Podcast he explores what it means to experience freedom in all areas of life and how we grow more resilient as we face challenges in the process. 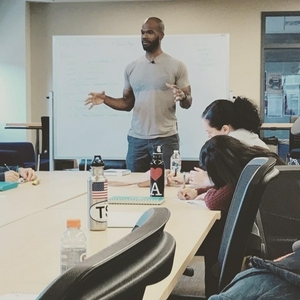 Travis shares lessons learned from personal experiences: overcoming obesity, getting out of debt, working as an Electrical Engineer in Corporate America, and becoming a US Army Green Beret/Combat Veteran. 29: Where Does Pain Come From? ...That’s the big question I’m exploring in this week’s podcast. When we experience mental and emotional anguish, what is happening in our lives that causes this tension point? Is there a possible mental framework that will allow us to get through these sticking points with greater speed? Hope you enjoy and email me at TravisDaigleCDC@gmail.com with feedback. 28: “I Didn’t Sign Up for This!” - Yes You Did. Eyes wide open - we have to be willing to look at all the potential ramifications of the big decisions we make. Doing so can be sobering but this also creates a mindset of vigilance... if we choose. In this episode I talk about why I always remind people who want to sign up for the military that we have been engaged in two violent conflicts for almost 20 years each. Apply this thought process to your dreams and goals. I promise it helps. 27: The Bus Ain’t Coming! The very first time I discovered I had the ability to speak and inspire was under some interesting circumstances at a point that can be considered a very low place in my life... The bottom is where magic happens! Enjoy! Episode 4 in the Foundations series. The ever complicated realm of human relationships... If only everybody thought like me... It would be terrible! LOL! Love Y'all! 23: What is Work, Anyway? 'Get a job!' 'I want a Career!' 'You need to Work!' - I've heard it all, but what is this magical thing that we are obssessed with, called 'work'? Remember, we all want the freedom to do work we find meaningful... no matter the context. Hope you enjoy! When it comes to our physical health, there are some fundamental realities that we have to face. Biology isn't changing much in our lifetimes. Therefore, we must change in order to consistently implement, the simple principles that I lay out in this episode to govern our physical health. Got any feedback or questions? Contact me at TravisDaigleCDC@gmail.com . In this episode Tifani and I discuss a particular issue that I have come across repeatedly in the last 3.5 years being a Speaker and Personal Development Coach. 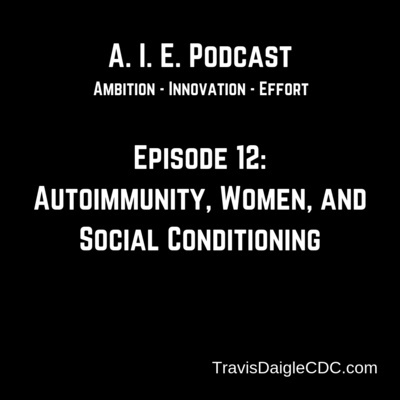 In that time I have meet ten or more women who struggle with autoimmune issues. I've felt useless many times as I watch these amazing women struggle with health challenges that I can't address. Now, to be clear: ***WE ARE NOT MEDICAL PROFESSIONALS. THIS PODCAST DOES NOT REPLACE MEDICAL ADVICE. IF YOU HAVE AUTOIMMUNE OR OTHER MEDICAL ISSUES CONSULT A HEALTHCARE PROVIDER BEFORE CHANGING ANYTHING IN YOUR TREATMENT PLAN. *** Recently I began to have a theory about where these issues could be coming from and what might be the way forward. This is simply a conversation between two friends exploring ideas. Leave a review wherever you listen to podcasts and share with someone you love! Do You! Peace! On this episode Tifani and I explore the implications of spending a significant amount of time and energy in any single endeavor. In this case, how does work impact our everyday existence and are we okay with that impact. Fire on this one! A review of all the concepts covered in this quarter of Grit City Mondays. In this class I talk about the way material possessions can hinder or help our progress in life and business. Thanks for listening! Fall 2018 UWT Grit City Mondays - 3/5: Cash Flow is King! Third clash of GCM fall 2018 Quarter. Talking about money! Life blood of a business and a Life! 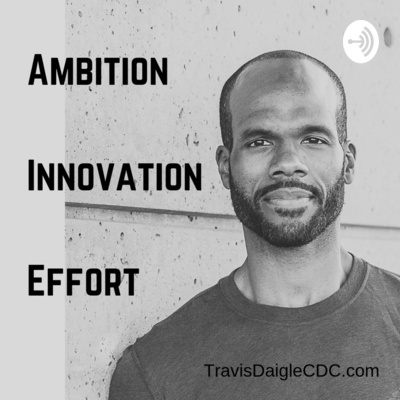 In this episode I sit down with a friend and answer some questions about my philosophy on grit and determination. How do we balance a commitment to effort and focus on our dreams with out losing sight of loved ones and self-care? Maybe they should all be a part of the same dream. Good conversation here! This is the second class of the Fall 2018 Quarter of Grit City Mondays at UWT. In this class we talk about a principle that helps us maintain personal accountability and ownership. Overall we want to keep learning and keep getting better. Welcome to You Inc. In this class I talk about the perspective we take on painful circumstances, challenging scenarios, and all the resistance that comes with chasing our own version of freedom. EP1: What does it cost to be healthy?